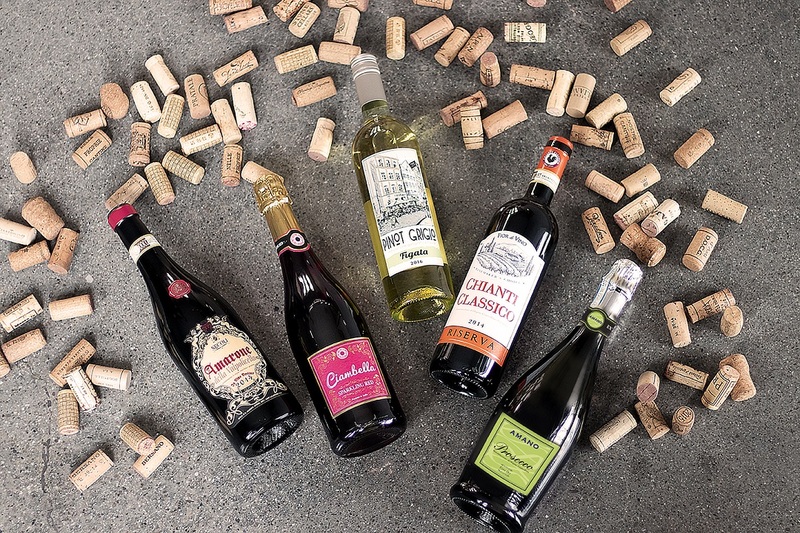 Did you know that much of the Italian wine you can find in stores is distributed from right here in San Leandro? 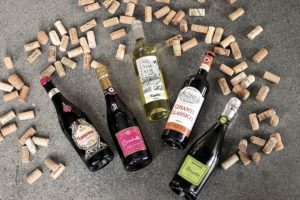 Local importer and distributor, 8 Vini, imports and distributes wine to an impressive list of retailers and state liquor boards across the country and is one of the top wine distributors to export wine to Mexico. 8 Vini founder, Simon De Giuli Botta and his team, work with a variety of producers, ranging from the largest bottlers in Europe to Spectator-rated estates across Italy, with the purpose of continuing the supply of quality Italian wines to major chains at the lowest prices, and eliminating the middle men. Initially operating in Hayward, Simon De Giuli Botta purchased a property on Business Center Drive in 2015 and relocated the business to the industrial area in San Leandro. Simon is the fourth generation of De Giuli Botta in the Italian wine business. Simon’s grandfather Pietro Jr. ran the hugely successful Fratelli De Giuli Botta winery in the early 1920s after taking it over from Simon’s great-grandfather. In the 1960s, Simon’s father Mario moved to London, England to become an Italian wine importer. He formed a partnership with Guasti Clemente from Piemonte and C. Guasti (London) & Co. was born. So, it is no surprise that De Giuli Botta followed in his forefathers’ footsteps, having played an active part in the industry since his teenage years. After relocating to Northern California, Simon embarked on a number of Italian wine import and distribution ventures that eventually led to the establishment of 8 Vini, which coincidentally imports the old-world wines from Guasti Clemente, with whom his father and grandfather once worked. 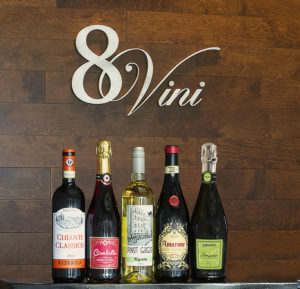 8 Vini maintains direct relationships with wineries, bottlers, capsuling, and labeling companies, ensuring the delivery of a finished product ready for distribution to customers. In an effort to foster and strengthen these relationships, the 8 Vini team makes monthly trips to Europe, which also allows the opportunity for new discoveries. The 8 Vini staff is experienced, diligent, and equipped to deliver what the customer wants at the lowest possible price, yet with the highest quality available. In 2015, Simon had a staff of three, but in the past four years, annual revenue has grown to in excess of $20M, and his staff has grown to 14. As the company continues to grow, he expects to add several new staff in the coming years. In San Leandro, oenophiles can find 8 Vini products in BevMo, Walmart, Costco, and Grocery Outlet. Just look for the 8 Vini logo on the back label. 8 Vini is also distributes Fior di Vino Chianti Classico Riserva, which happens to be Trader Joes’ best selling chianti riservas. Cento di questi giorni! I have not been able to visit your place however my family and I never knew your place so close from home. Thank you for the recent post from Next Door! Do you do wine tasting for a small group and open for public? Also if one is interested like my husband who has passion about wine can apply for your organization. He is 63 yrs old and or me as a part time help during weekends? I work full time and still have energy for a local well known winery! Hidden gem. Thank you for your time in advance and information.